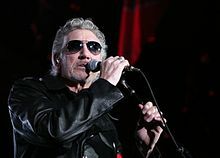 Pink Floyd’s founding member and songwriter Roger Water’s will be at the Amway Center on Saturday, June 18th, 2012 at 8pm. Ticket Prices: $46.75, $86.75, $131.25 & $200.25 | All tickets are subject to applicable taxes, service, handling and facility fee charges. This entry was posted in Concert and tagged Amway Center, Rock on February 8, 2012 by Orlando Concert Guide Staff.